Everyone would love a sparkling smile that turns heads in the room. In order to get that perfect white smile, you can consider teeth whitening. There are a number of facts and myths that surround this procedure. Well, this blog will give you some vital facts regarding cosmetic teeth whitening. First of all, do you know that your diet and lifestyle is responsible for your stained teeth? Smokers as well as people who drink lots of coffee, soda and tea are more likely to get stained teeth than those who do not. This is because all these products can stain the teeth. A natural way to reverse this damage is taking strawberries. Strawberries, together with baking soda can slowly remove stains on the teeth. Secondly, when you seek teeth whitening, your dental expert must find out if the teeth are natural. Ideally, the whitening procedures do not work on teeth which are not natural. Fake teeth or dentures can hardly be whitened through cosmetic procedures. The condition of your teeth will also determine whether you can undergo cosmetic teeth whitening. For instance, if you have gum disease, it needs to be treated before the whitening procedure is done. This is because, your gums are already very sensitive so they can be easily irritated when the whitening is done. To prevent further complication, any tooth and gum infections will have to be treated first. When you purchase over the counter teeth whitening products, stay away from any that contains fluoride. Fluoride is considered to stain the teeth. While many manufacturers have advertised this product, it is not the best to whiten teeth. Consult your dentist if you want to whiten your teeth. Teeth whitening procedure is not recommended for pregnant women. During pregnancy, the body is sensitive to the chemicals it is exposed to. There are certain chemicals in teeth whitening agents that are not very suitable for pregnant women. This is why pregnant women are advised to consider whitening their teeth after they give birth. After zoom teeth whitening, it is advisable to avoid foods which can stain your teeth. It is also important to maintain good oral hygiene to keep your teeth and gums in great condition. This will help to maintain that fresh and white smile. After all, teeth whitening procedures should not be done every other time. When you overdo it, your teeth may become sensitive and weakened. Remember that the process involves a lot of chemicals, most of which your teeth are not used to which is why you should not overdo it. Most importantly, there are different teeth whitening procedures and your dentist will select one that is suitable for your budget and the condition of your teeth. The cost of teeth whitening is quite low compared to what many people assume. Whitening procedures are very affordable since many dental clinics offer them. However, it is important to find the best teeth whitening method for you. 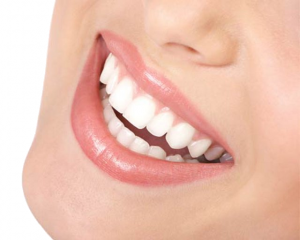 If you consider for zoom teeth whitening, do is with the consultation of your dentist.